Gill focuses on action research to support evidence-based decision making in forestry and land-use. She works in multidisciplinary teams to engage communities of interest, who collectively contribute to exploring and solving contemporary problems facing the sector. 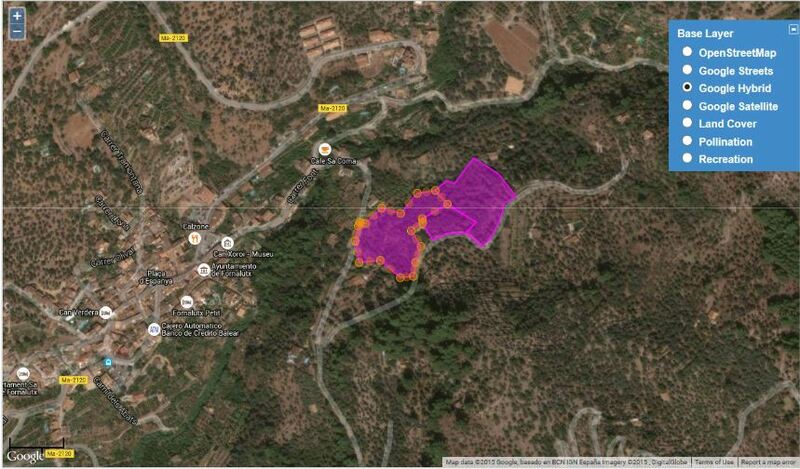 The aim of this project is to develop an innovative solution t o the loss of ecologically-rich land in Europe. We will work with land owners and managers, community groups, NGOs and businesses in four European countries (Croatia, Romania, Spain, UK) to explore use of the tools and technologies developed in the Oxford Long-term Ecology lab and our partners the Sylva Foundation, an established partner of the Oxford Long-term Ecology Lab, and the Institute for New Economic Thinking at the Oxford Martin School, to trade in the commodity ‘ecosystem services’. The project is developing a set of tools and technologies that bridge the gap between academic research and policy on ecosystem service provision, and its dissemination to private and public landowners. More information here. Gill conducts systematic reviews and systematic maps following good practice guidance from the Collaboration for Environmental Evidence, with whom she works on their Guidelines Editorial Group. OxLEL explores the use of rapid systematic evaluation to explore how these tools can be more widely used in research as well as for decision-making. Gill led a collaborative project co-ordinated by the Center for International Forestry Research (CIFOR), with its international partners to establish the Evidence-Based Forestry (EBF) Initiative from 2012-2015 and continues to work on outputs from that initiative with scientists in Partner insistutions – CATIE, CIRAD, ICRAF and IUFRO and universities across the world. The Initiative reflects the Partner institutions’ leading roles in generating evidence for policy processes about forests and forestry, defined broadly in the contexts of both landscapes and sustainable development. The EBF Initiative was established to facilitate and promote use of systematic methods for informing decisions and actions about forests and forestry. The EBF initiative is supported with resources contributed by UK DfID’s Know For Program Grant. To date, the EBF initiative work has established a mechanism for introducing evidence-informed frameworks to conduct systematic reviews and systematic maps that conform to standards of existing collaborations. Protocols and completed reviews are published in Open Access peer-reviewed journals, and summaries for policy makers and other stakeholders are published in a variety of accessible ways, inlcuding Policy Briefs, blogs and podcasts. 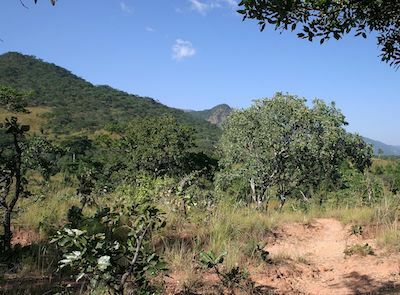 An international project – T20Q (Top Twenty Questions for Forestry & Landscapes) – to determine high priority research and policy questions ran during 2014 in collaboration with the Sylva Foundation, an established partner of the Oxford Long-term Ecology Laboratory and Biodiversity Institute. Outputs from that project are being used to inform future priorities for systematic reviews. In related work, Gill works with the Sylva Foundation to explore attitudes and behaviour of woodland owners in the UK with respect to managing for multiple objectives and resilience, This social research includes large-scale online surveys and stakeholder workshops involving woodland owners and managers. tree nurseries and professionals with an interest in research and practice in the field. To date we have conducted British Woodlands Surveys in 2012, funded by a consortium of The Royal Institution of Chartered Surveyors, Forestry Commission, Woodland Trust, Natural England, and the Institute of Chartered Foresters, in 2014, funded by the Woodland Trust in partnership with the Heritage Lottery Fund, and 2015, with funding from the Forestry Commission and the Woodland Trust. 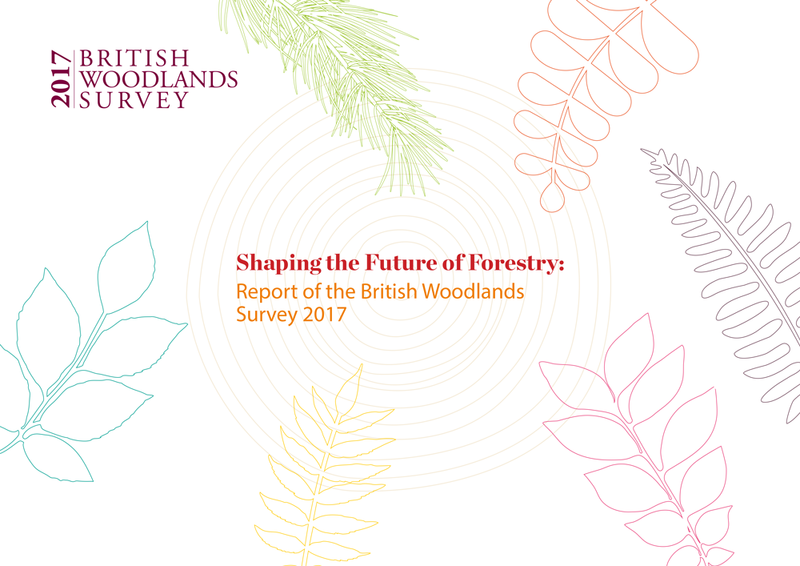 The survey for 2017, funded by the Scottish Forestry Trust, Forestry Commission Scotland, and Woodland Trust, incorporated, for the first time, phases that engage stakeholders in the framing of the survey. in addition to online engagement there will be workshops in England, Scotland and Wales. The projects use an online survey, focus groups and workshops to engage with British woodland owners and agents with the aim of providing a strong evidence base on which to develop future polices for sustainable forest management in Britain. More information here. Arton A, Leiman A, Petrokofsky G, Toonen H, Neat F, Longo CS. 2018. What do we know about the impacts of the Marine Stewardship Council seafood ecolabelling program? A systematic map protocol. Environmental Evidence 7:29. DOI:10.1186/s13750-018-0143-1. Eales J, Haddaway NR, Bernes C, Cooke SJ, Jonsson BG, Kouki J, Petrokofsky G, Taylor JJ, Eales J, Haddaway NR, Bernes C, Cooke SJ, Jonsson BG, Kouki J, Petrokofsky G, Taylor JJ, 2018. What is the effect of prescribed burning in temperate and boreal forest on biodiversity, beyond pyrophilous and saproxylic species? A systematic review. Environmental Evidence 7:19. DOI:10.1186/s13750-018-0131-5. O’Brien, L. Ambrose-Oji, B. Hemery, G. Petrokofsky, G. Raum, S. 2018. Payments for ecosystem services, land manager networks and social learning.(pdf). Forest Research, Farnham. Roe D, Booker F, Day M, Zhou W, Allebone-Webb S, Hill NAO, Kümpel N, Petrokofsky G, Redford K, Russell D, Shepherd, G, Wright J, Sunderland TCH. 2015. Are alternative livelihood projects effective at reducing local threats to specified elements of biodiversity and/or improving or maintaining the conservation status of those elements? Environmental Evidence 4 :2. (doi:10.1186/s13750-015-0048-1). Open Access. Boshier D, Broadhurst L, Cornelius J, Gallo L, Koskela J, Loo J, Petrokofsky G, St Clair B. 2015. Is local best? Examining the evidence for local adaptation in trees and its scale. Environmental Evidence, 4:20 DOI: 10.1186/s13750-015-0046-3. Open Access. Petrokofsky G, Kanowski P, Brown ND, McDermott C 2015. Biodiversity and the forestry sector. In: Biodiversity in the Green Economy (Eds Gasparatos A, Willis KJ), DOI: 10.4324/9781315857763 Routledge. Cerutti P, Sola P, Chenevoy A, Iiyama M, Yila J, Zhou W, Djoudi H, Atyi R, Gautier D, Gumbo D, Kuehl Y, Levang P, Martius C, Matthews R, Nasi R, Neufeldt H, Njenga M, Petrokofsky G, Saunders M, Shepherd G, Sonwa D, Sundberg C, van Noordwijk M 2015. The socioeconomic and environmental impacts of wood energy value chains in Sub-Saharan Africa: a systematic map protocol. Environmental Evidence 2015, 4:12. doi:10.1186/s13750-015-0038-3. Open Access. Ojanen M, Miller DC, Zhou W, Mshale B, Mwangi E, Petrokofsky G 2014. What are the environmental impacts of property rights regimes in forests, fisheries and rangelands? : a systematic review protocol. Environmental Evidence, 3:19. Open Access. Savilaakso S, Petrokofsky G, Zrust M, Guariguata M 2014. “Palm oil and biodiversity”.CIFOR Infobrief no. 69. Open Access. Godfray HCJ, Blacquière T, Field LM, Hails RS, Petrokofsky G, Potts SG, Raine NE, Vanbergen AJ, McLean AR (2014) A restatement of the natural science evidence base concerning neonicotinoid insecticides and insect pollinators. Proc. R. Soc. B 281:20140558. (doi: 10.1098/rspb.2014.0558) Open Access. Roe D, Day M, Booker F, Zhou W, Allebone-Webb S, Kümpel N, Hill NAO, Wright J, Rust N, Sunderland TCH, Redford K, Petrokofsky G. 2014. Are alternative livelihood projects effective at reducing local threats to specified elements of biodiversity and/or improving or maintaining the conservation status of those elements? : a systematic review protocol. Environmental Evidence 3 :6. (doi:10.1186/2047-2382-3-6) Open Access. Randalls S, Petrokofsky G (2014) Saws, sonar and submersibles: expectations of/for underwater logging. Geoforum 52, 216–225. (doi: 10.1016/j.geoforum.2012.12.010). Petrokofsky G, Mills R (2009). 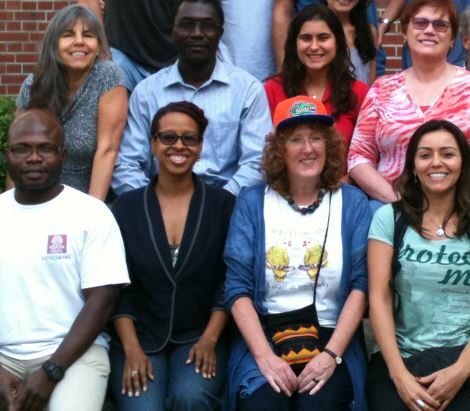 The role of librarians and information specialists in evidence-based forestry. Proceedings of CFM 2009, 13th World Forestry Congress, Buenos Aires, Argentina. Petrokofsky G, Hemery GE, Brown ND (2008). Knowledge feeds decision making. The people’s say in UK forestry. Quarterly Journal of Forestry 102, 221-225.